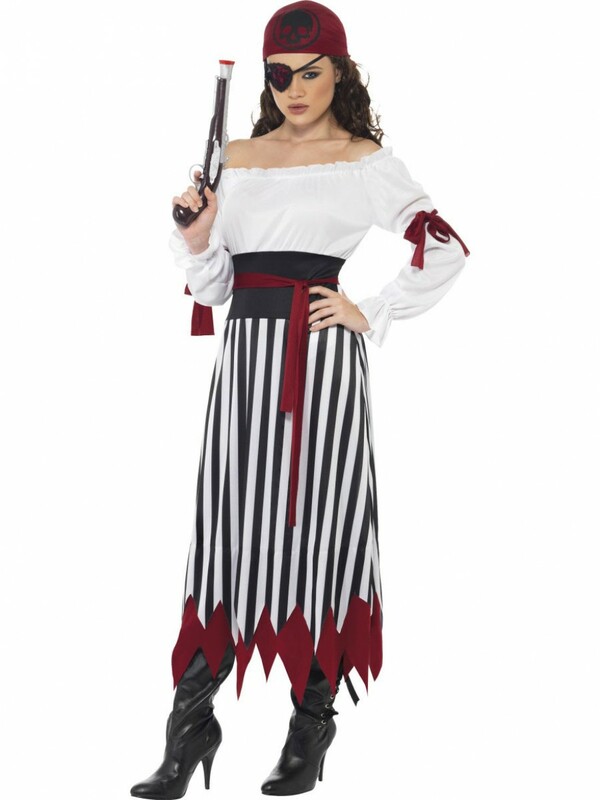 This Pirate Lady Outfit includes a dress with arm ties, belt and headpiece – with the classic stripes and shirt look! 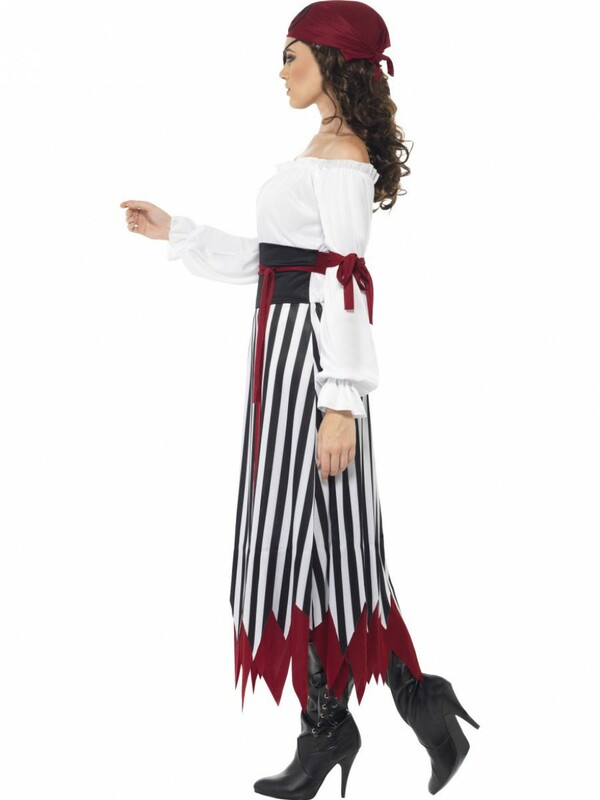 This Pirate Outfit is perfect for a little more coverage but still delivers a fantastic look! The stripes and off shoulder shirt is a timeless pirate classic – popular because it looks so great! This all-in-one dress has a shirt effect top section with a stripy skirt. The middle black strip creates a fantastic waistline and the deep red detail adds a splash of colour! The arm ties, belt and headpiece are all in a matching red and tie to fasten. A fun Pirate Outfit for any fancy dress occasion! 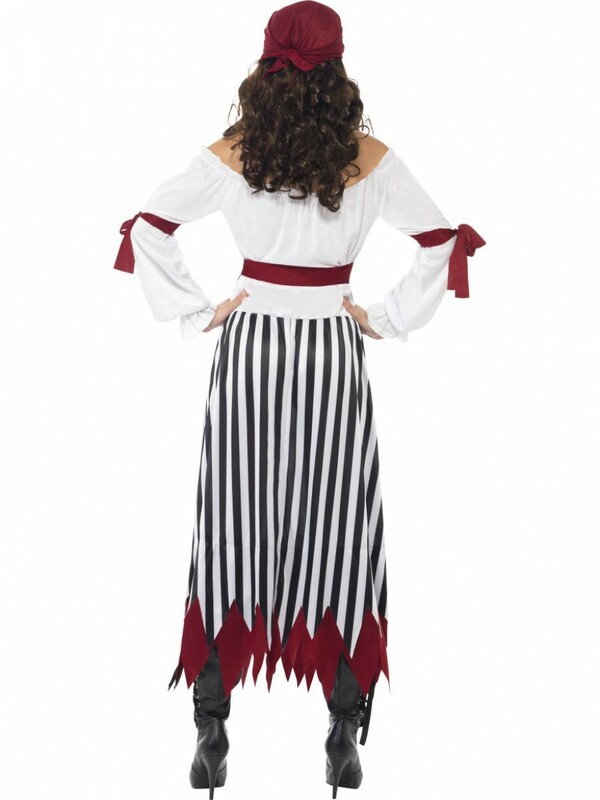 Pirate Lady Outfit which includes Dress with arm ties, Belt and Headpiece.